While sometimes brief, every moment of life is precious and meaningful. Inspired by our first patient, baby Silas, the SILAS (Strongly Impacting Lives Against Suffering) Program at Hillcrest’s Peggy V. Helmerich Women’s Health Center is a perinatal palliative care program for parents who have received the devastating news that their unborn child has been diagnosed with an inoperable life-limiting condition. This news is not only heart-breaking, but also leaves the family to make the agonizing decision about what to do next. For parents who wish to continue their pregnancy, perinatal palliative care exists to provide comfort while the family embraces every moment of life. Perinatal (which means around the time of birth) palliative care offers compassionate medical support to improve quality of life. Assistance is provided once the parent(s) is referred to our program from an obstetrician or other pregnancy care provider. Our team, including the program director and a neonatologist, will meet with the family to discuss a birth plan and in-hospital support. Our team is also available to answer questions and address any concerns upon diagnosis through birth and beyond. 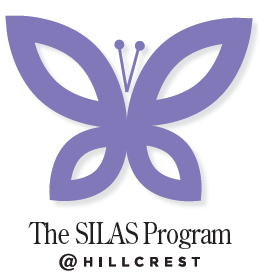 A SILAS Liaison to provide support before,during and after delivery.